Grey Sole fish all have oval shaped bodies, dark on top, light on bottom and odd looking eyes on the same (top) side of their heads. They are bottom dwellers, propelling themselves with a wave like motion along the sandy bottom of the sea. Sole and flounder are harvested on the East and West Coast, as well as the Gulf of Mexico. Along the East Coast, Summer flounder is the most abundant, and can weight up to 20 pounds. Of all the soles, Grey Sole is the smallest fillet with the most delicate flavor. As with all members of this family, Grey Sole is very lean and easily prepared; simply broiled or elegantly stuffed with crabmeat. Sauté bell pepper and onion in butter over medium heat until tender. Do not brown. Remove from heat. 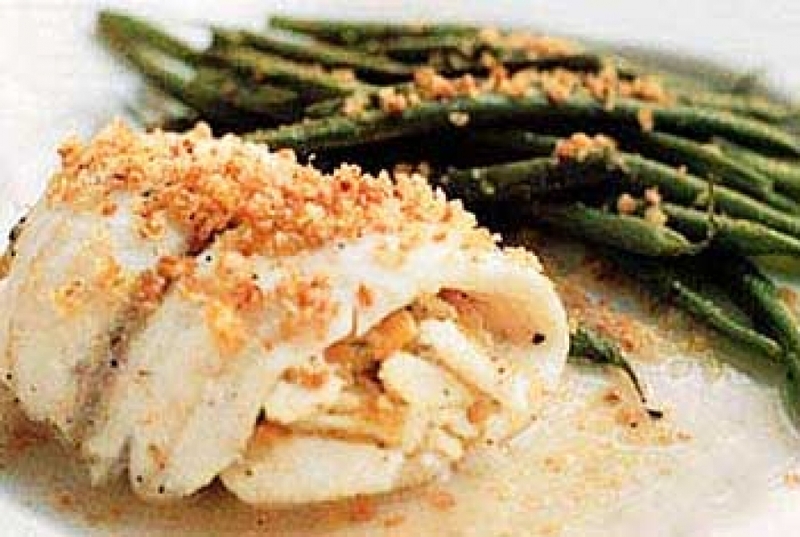 Mix in crabmeat, bread crumbs, cream, salt and pepper to taste. Spoon about 2-3 tablespoons of mix onto one open fillets and roll to close with ends under. Place on foiled baking sheet. Repeat with remaining mixture and fillets. Dot with additional butter and sprinkle with paprika and fresh parsley. Bake in 375 oven for 10 to 15 minutes. Serve immediately. Serves two to four. Variations: Cooked sautéed spinach and mushrooms. Brush baking sheet with butter and place fillets on sheet. 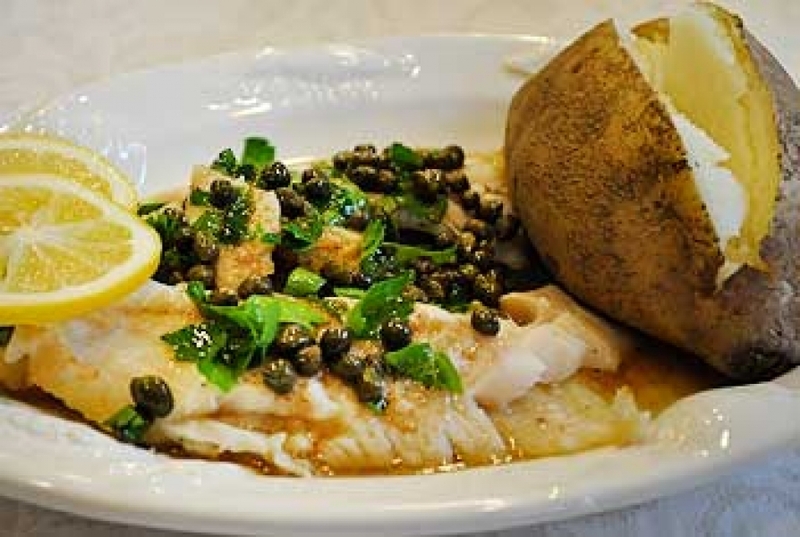 Brush fillets with butter, and drizzle with fresh lemon juice and capers. Season with salt and pepper. Broil 6 inches away from flame for 3-4 minutes until fillet flakes when tested with fork. Serve immediately. Serves 2.